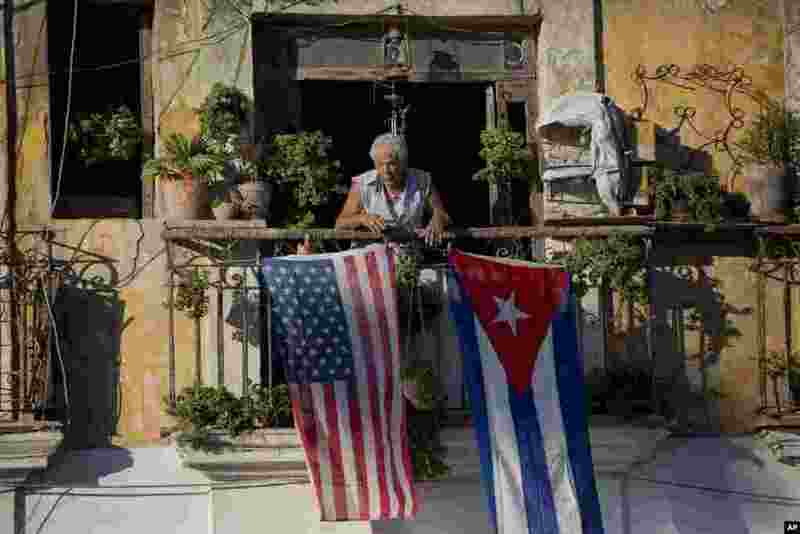 ١ Javier Yanez stands on his balcony where he hung a U.S. and Cuban flag in Old Havana Cuba. After the surprise announcement on Wednesday of the restoration of diplomatic ties between Cuba and the U.S., many Cubans expressed hope that it will mean greater access to jobs and lift their struggling economy. 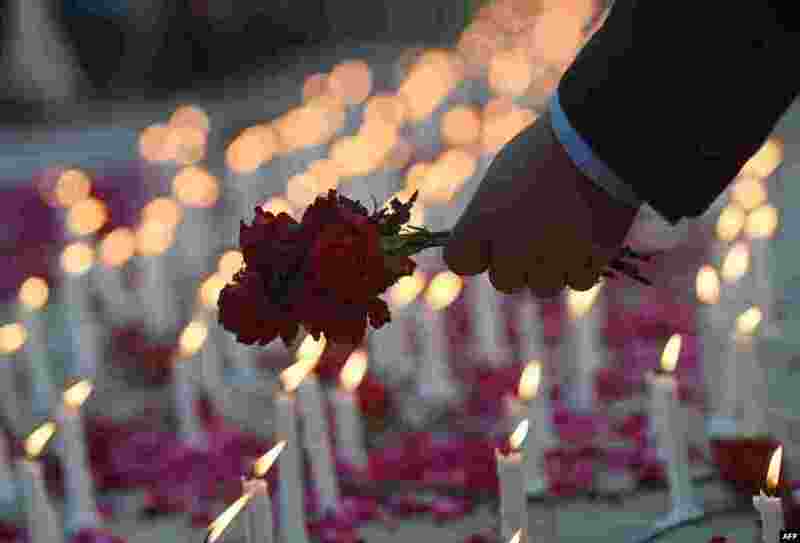 ٢ A Pakistani legislator places flowers at a memorial in Islamabad for the children and teachers killed by Taliban militants in army-run school in Peshawar on Tuesday. ٣ Supporters of the Gulen movement wave Turkish flags as they gather outside the Justice Palace in Istanbul. A Turkish court kept a media executive and three other people in custody on Friday pending trial on accusations of belonging to a terrorist group, in a case which President Tayyip Erdogan has defended as a response to "dirty operations" by his enemies. 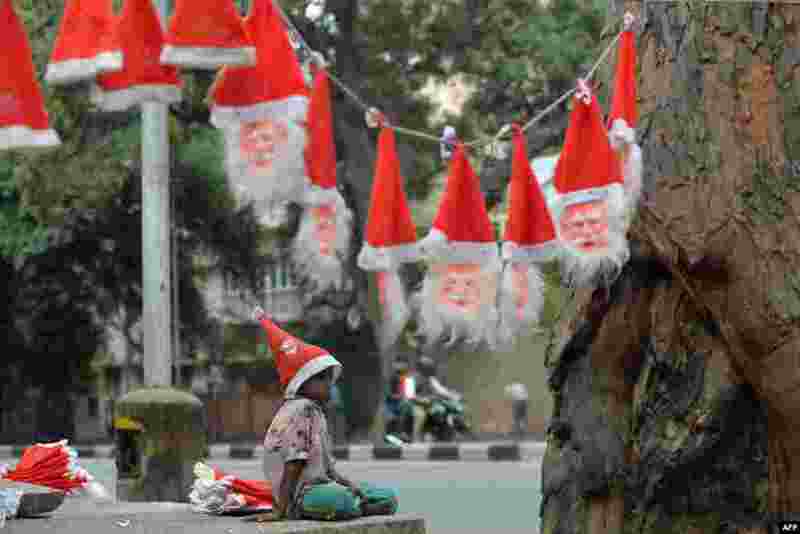 ٤ A young Indian hawker, selling Santa Claus hats and masks at a traffic junction, takes a break from work in Bangalore. Despite Christians forming only a little over two percent of the billion-plus population in India, with Hindus comprising the majority, Christmas is celebrated with fanfare and zeal throughout the country.